There have been many significant improvements in technology which have had a drastic impact on our lives over the past few years and 3D technology is one of them. The next big thing 3D printing is bringing will be in the shape of a full sized 3D printed bridge. MX3D who are industry experts are planning to design the steel bridge by using independent robot arms in Amsterdam, Netherlands. The arms will begin from one side of the river and end at the other bank and in the process they will be forming the structure of the first ever 3D printed bridge. Two partners, Heijmans (a construction firm) and Software studio Autodesk who are currently working on the project with MX3D, the project is going to begin by September after the selection and finalization of the location. By heating the metal at 1500 degree Celsius (2,732 Fahrenheit) the robotic arms will sustain the load and will create their own support as they go around making the bridge. The location is said to be the most eye-catching sight for the tourists as per past experience and a tube that will give updates on the processing of bridge. “What distinguishes our technology from traditional 3D printing methods is that we work according to the ‘printing outside the box’ principle,” Tim Geurtjens says on the project site (MX3D Chief Technology Officer). There were many test run failures that occurred while the printing arms was getting ready for the operation. According to MX3D engineers there was a machine explosion, most of the machines lost their bearings and they got blocked but still they manage to make the ultimate version which is about to launch and will be much better after going through the iterative process. Formerly a test has been taken on a small scale that makes sure that the bridge could take the weight of the human beings. Dutch designer and artist Joris Laarman drafted the style of the bridge. It not just demonstrates the innovation of 3D printing, this technology also has practical usage in areas which were effected by natural disasters or faced the destruction of infrastructure, eventually it will help linking the communities organized in a better way. 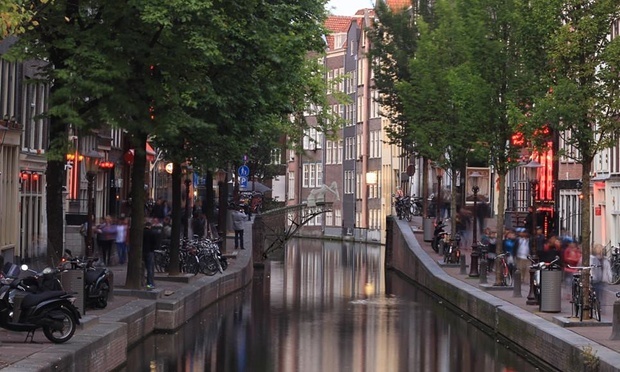 Those of you who’re in Amsterdam have a look on MX3D’s latest bridge and let us know how it goes about. Hopefully this will bring enough innovation for better projects in the coming years.